Electro-pop trio Perfume has been featured in a new commercial for the Mercedes-Benz A-class car. The catch: the unit appears in the ad as their illustrated counterparts, created by Neon Genesis Evangelion character designer Sadamoto Yoshiyuki. 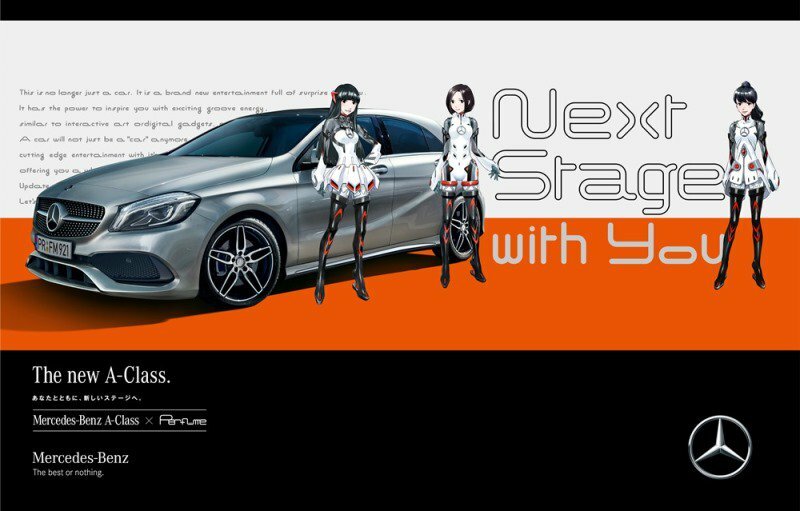 A new song titled “Next Stage with YOU” is used as the commercial jingle. Check it out below. Perfume recently released their 22nd single “STAR TRAIN” in October and have been celebrating their 15th anniversary as a group this year. “Next Stage with YOU” comes on the heels of announcements that the trio is going to go on their fourth world tour in 2016, and intend to perform at New York’s Madison Square Garden.